I am not able to enter DFU mode. I have tried the suggestions above, but it's a no go. Please help because I am sat with a ATV2 with a flashing light and don't know what to do now!!?? Managed to get into DFU mode now with the below steps, but Seas0nPass refuses to recognise it??? Connect your Apple TV to the power outlet and to your computer via a Micro-USB cable. 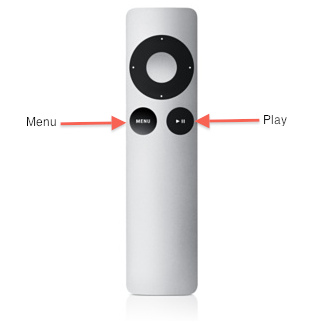 Hold down the Menu and Down buttons on your remote for about six seconds until the light on the device begins to blink rapidly. Let go of both buttons then press and hold the Menu and Play buttons together for another six seconds, then release. iTunes will then detect the device in DFU mode. everthing is ok, until power off, i meaning unplug the power line, then power on, everything is gone. this version seems could not been saved if power off. Anyone managed to jailbreak with 4.4.2 build 3160? I can't seem to find the IPSW for this build. Using the 9A336A build mentioned just gives me error that it is unauthorized. I like Apple less and less now because of this. I should have the right to downgrade to the version of FW that my Apple TV came with. Had the same problem... turned out I just needed to restart my computer for seas0npass to recognize my atv2 again. I hope this will help you too. I seem to have everything running fine until itunes starts the restore. SeasonsPass gives me a message saying the itunes script is complete (not the teathered boot complete like in the instructions. Same graphic though) Itunes finishes what it's doing, tells me to disconnect. Reconnect ATV2 to tv, light on ATV2 still blinking rapidly, and graphic comes up on tv screen in green telling me to connect ATV2 to micro usb and the itunes icon. Still cannot get to restore in itunes get error message 3194 ( itunes helps says udate itunes how ever it is latest version install, even reinstalled to be sure) W7 64bit version. I am running into simular issues with build 3160. Does anyone know wherr to find the ipsw for this build? Updated to 4.4.2 and seas0npass jailbreak worked fine. However, having issue where ATV seems to drop out of network when screensaver kicks in. I've since turned screensaver off and seems to be OK.
checked and nito sshack is installed to latest version. Only other observation was that AFP login to my MyBookWorld seems to time out when enter password. New MyBookWorld firmware they released for Lion compatibility seems to make the login take a lot longer from Mac so is it possible that there is a timeout set in Media player that is shorter than the MyBookWorld now seems to take? If I just use guest account with no password, Media works fine so not a showstopper at all. Every thing was going well till the 2nd part ie the Tethered part. Seas0nPass sits at 'Uploading kernelcache.release.k66 to device...", after 15 / 20 mins I clicked cancel button as nothing was happening. Any help would be appreciated to kick start my Apple TV back into life. Please open a support ticket and send in your Seas0nPass log file. Apologies; I was getting '1601' & '9' errors on the 1st part of installation, before moving onto the 2nd part. Any word on when an untethered jailbreak of 4.4.2 will be available? I second this question: any estimate on an untethered jb? Would be sweeeet! You do not have to update the apple TV to jailbreak. I tried repeated times to jailbreak aTV with my mac and got the not eligible for requested build error. I then tried the same process with my pc and it worked the first time. I am not sure exactly what is wrong with the mac version...maybe my computer, but give it a shot if you run into problems. I also used iReb to get around a 1600 error. Do you just have to install the Curia version of xbmc then SSH the nightly build to get xbmc working with this tethered jailbreak? Or do u have to mess around with moving files n stuff? I Fifth this. Just a hint that it might be coming soon so I can stop holding my breath. Also John, the Firecore guys don't manage XBMC. His response is correct. 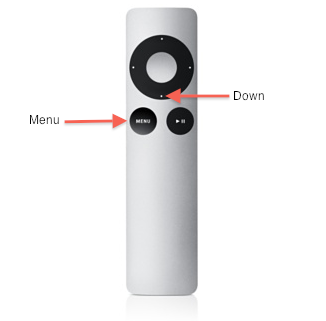 Jailbreaking the Apple TV doesn't cause any visible changes to the software. You have to follow the next steps to load the software after you jailbreak it. I'm not saying you have other valid issues, just saying there are two steps in the process: jailbreaking and installing. So I want to jailbreak my Apple TV 2 with iOS 4.4.2. I do understand the jailbreaking procedure, no problem for that, and I do understand how to boot it in a tethered way. I have my Apple TV in the living room, and my Mac in another room. No problem for jailbreaking, but at the moment I'll have to boot the Apple TV in a tethered manner, I'll have to plug in the power cord. SO, how to move my now jailbroken and booted Apple TV back to the TV???? Or is it possible to jailbreak the Apple Box on Mac (with Lion an iTunes 10.5.1) and boot it thered on PC (Laptop with Vista). ATV 4.4.3 is now being pushed to boxes with this jailbreak work? Should I not automatically update ATV? I would hold off the update to 4.4.3. Seasonpass does not appear to support it currently. Good morning, is there any solution for the brandnew version 4.4.3? Right now i updated my atv and think about jailbreaking and installing firecore. i then just renamed the folder and contunied as described. Note: In video demo the atv2 starts to blink rapidly after plug usb cable and before entering on dfu, but my device only blink rapidly when entering on dfu mode not before. Yar, me too. I should have gone with 4.4.2 instead. I rolled back to 4.2.2 and apparently completed the jailbreak and install of aTV flash, but my aTV wouldn't come out of DFU mode. When I plugged it into the TV, it had the 'plug into iTunes' picture on there. Then restoring back to 4.22 wouldn't work, I had to do a normal iTunes restore which put it back to 4.23. Then back to 4.22 again. About to try and install again. 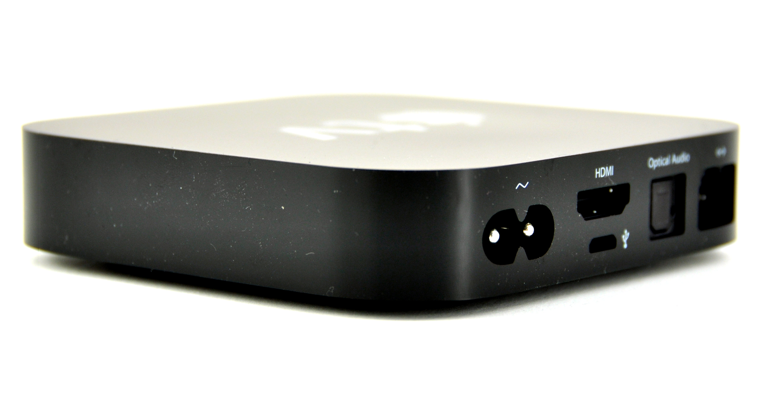 I want to jailbreak my Apple TV 2 because I just bought the aTV Flash (black). Because the Booting of the jailbroken ATV2 is still tethered, I want to know if it is possible to boot from any computer in the house, or must it be the same computer where I've done the jailbreak? (with seas0npass). In other word, can I jailbreak on a Mac and boot from a PC? Issue 1: my ATV won't go into DFU unless plugged in. Issue 2: after the custom firmware is imported into iTunes, I get the "device is unsupported for this software." there's no "network" option under nitoTV... whats a boy to do? Hi I just want Seas0nPass to support a UN ---- Tethered jailbreak of the 4.4.3 (iOS 5.0.1 - 9A405l) , What is the ETA!!!!! Hi, you can boot with any computer, as long as you have seas0npass installed there. You need it to boot tethered.